Kwara State University, KWASU academic staff job vacancies – external advertisement. Computer literacy is required for all positions. Authorities of the Kwara State University (KWASU) invite applications from suitably qualified candidates for the following vacant academic positions. Computer literacy is required for all positions. 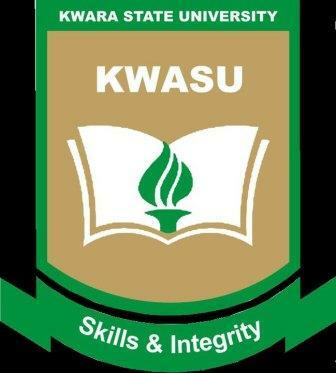 KWASU Job Vacancies – Requirements. Candidates must possess a Ph.D in relevant field with a minimum of twelve (12) years for post-doctoral cognate teaching, research and administrative experience plus at least twenty- one (21) significant peer reviewed scholarly publications in reputable National and International outlets. Candidates must also show evidence of significant research direction/supervision at the postgraduate, especially doctoral level. Candidates must possess a Ph.D in relevant field with a minimum of eight (8) years for post-doctoral cognate teaching, research and administrative experience plus at least seventeen (17) significant scholarly publications in reputable National and International outlets. Candidates must also show evidence of significant research direction/supervision at the postgraduate, especially doctoral level. Candidates must possess a Ph.D. in the relevant field with a minimum of six (6) years post-doctoral cognate teaching experiences plus at least twelve (12) significant scholarly publications in National and International outlets. Candidates must show an evidence of research direction or supervision at the postgraduate, especially Masters or Doctoral Level. Candidates must possess a Bachelor Degree with First (1st) Class Honours or Second (2nd) class Honours Upper Division. Candidates with Ph.D must have spent a minimum of three (3) years on previous grade plus a minimum of four (4) scholarly publications. Candidates without Ph.D must have spent a minimum of five (5) years on previous grade and must show evidence of continuing research and publications in relevant field. Supervision of advanced research projects will be an advantage. KWASU Job Vacancies – General Information. KWASU Job Vacancies – Method of Application. 17. Names and Addresses of three (3) referees (two of whom must be professionals or authorities in relevant fields) who must be requested by the applicants to forward Confidential Reports on them directly to the Registrar, indicating the post applied for. All applications and referees’ reports should be submitted not later than four (4) weeks from the date of this advertisement. Date of advertisement was July 22.